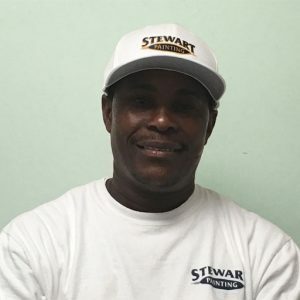 Wayne has worked in the painting industry for over 16 years and joined Stewart painting in 2015 working his way up to Crew Leader. He is Renovation, Repair and Painting Low-Risk Lead certified by the EPA. likes Stewart Paintings standards and reputation along with their professionalism, which he says motives him. When not working, Wayne enjoys spending a lot of time with his family.